As a new customer joining a betting site, seeing all the markets and bet types might seem a little daunting, but one thing that you can look at before even placing a bet or making a deposit, are the promotions. Before even signing up, you can have a look around the site and then decide what you’ll do before placing that all-important first bet. 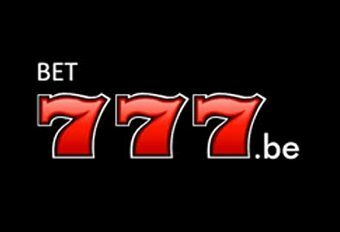 Bet777 is a leading bookmaker operating across Europe, particularly in the Belgian and French markets. One of the first things players look for when you create a new account at the site are the promotions, welcome bonuses and whether any free bets are available to them when they join. All online sports betting sites like to welcome those signing up with deals to make their first bets and experiences as enjoyable as possible. It’s an excellent way of introducing betting and wagering money to those who may have never visited an online sportsbook before. The free bets employed by some of the bookmakers allows for new users to learn about the various markets and how a bet slip works and what it looks like. New players at Bet777 are able to claim a 100% bonus up to €150 when they make a first deposit on the site. The welcome offer acts as a first deposit bonus, meaning that once players make a deposit of a certain size, they’ll then be rewarded with a percentage of money on top of their deposit. There is no promo code required for this offer. The welcome offer isn’t the only thing that new players can take advantage of at Bet777, as there are plenty of bonuses and extras under the promotions tab on the website. The promotions tab includes both sport and casino offers, meaning that players only need to go to one page to find everything they need on this site. As football is one of the most popular sports to bet on, you can find a number of different markets and bet types on the site. On top of that, there are regular promotions for football fans to enter, specific to some of the biggest leagues in Europe, including France and Belgium. There’s nothing more thrilling than betting live and in-play and it’s become one of the best and most popular innovations to the online sportsbook. Players can now place bets in the middle of a match, game or race, with the odds constantly changing depending on the action that’s taking place in front of them. The world of online sport and casino gambling really has changed since the days where you were only able to place bets pre-match and prior to the start of an event, rather than in the middle. Bet777’s live betting markets are easy to find and you can find a direct link to the page right next to the 777 logo on the homepage. Clicking on the Live Betting tab will take you directly to the world of in-play, where you can see all the markets, place some bets and hopefully win some money. Another innovative feature to have hit the world of online gambling is the cash out function. This allows players to withdraw their winnings before the end of the game, in the event that something happens, say a goal is scored, which affects their bet. There are also a number of online bookmakers who now offer a function known as Partial Cash Out. As the name suggests, this is a similar function to the cash out option, but players can now withdraw a portion of their winnings and keep the bet active with the remaining amount that’s left. Irrespective of which online betting site you’re using, there will always be terms and conditions that go with the promotions, special bonus offers and free bets. It’s best to make sure you’ve read them all before taking advantage of the stated offer. With sports betting, the time it takes for a bet to be settled varies, as does the time it takes for your winning to hit your account. However, before taking part in a promotion, make sure you’ve noted the closing time for participation, as there’s nothing worse than seeing a promotion, then forgetting to place your bet in time. To take part in Bet777’s welcome bonus, you must first register and make a deposit on the site. Once you’ve done that, you can claim your bonus in the Click and Claim section of your bonus account in the Cashier. You’ll then be able to receive your bonus of 100% up to €150. This offer is open to new players only and the bonus must be claimed with 15 days. Once active, the bonus is valid for 30 days. It is subject to the standard Bet777 terms and conditions and has a playthrough requirement of 3x. To rollover the bonus, players must place their bonus on bets with minimum odds of 1.70.